Mello Yello and Mello Yello Zero. The smooth and delicious citrus taste of Mello Yello reminds you that life doesn't have to be complicated. 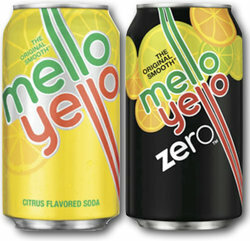 Mello Yello Zero is the zero calorie version.